One of the changes in Intuit QuickBooks 2013 is the Discount & Credit feature in the Customer Payment window. In the previous version, there is a Discount & Credit button at the bottom of the Customer Payment window, now it has changed to a radio button “WRITE OFF THE EXTRA AMOUNT”. Assuming you apply a payment of 1,050.00 with a bank charge of 20.00 to an invoice of 1,070.00. 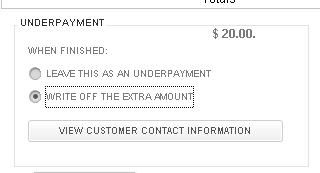 In the Customer Payment window, enter the amount as 1,050.00 and select your invoice for the amount due of 1,070.00. Then, select the radio button “WRITE OFF THE EXTRA AMOUNT” and follow by clicking on the Save & Close button to save your transaction. 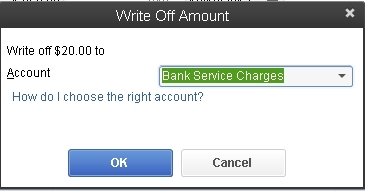 In the following window, Write Off Amount, select your Bank Service Charges expense account and click the OK button to record your transaction. Follow my blog to get the latest update on what’s new in QuickBooks 2013. This entry was posted in Accounting, Canadian version, Intuit QuickBooks 2013, QuickBooks and tagged accounting software, Accounts Receivable, bank service charges, customer payment, QuickBooks, QuickBooks 2013, Singapore, Small Business Accounting Software, software. Bookmark the permalink.